Манагуа - динамичный город, где можно найти самые разнообразные виды деятельности. Он является эпицентром коммерции для всей страны. В результате того, что подавляющее большинство населения Никарагуа проживает в этом городе, здесь можно найти всевозможные объекты недвижимости. Манагуа расположен между озерами Лаго-де-Никарагуа и Лаго Манагуа в окружении вулканов и всего лишь в 40 минутах езды до океана. В провинции Манагуа сосредоточена основная часть торговли, здесь также можно найти изобилие ночных и иных развлечений. Манагуа является экономическим центром страны и генератором всевозможных услуг для большинства нации. В этом городе, с населением более чем двух миллионов человек, находится много крупных национальных и международных компаний. Здесь также находится много заводов и фабрик, производящих самую разнообразную продукцию. Поскольку большинство университетов и бизнесов находятся здесь - это идеальное место для поиска бизнеса, получения образования или работы. This strip center unit is located in Managua, Managua, Nicaragua, in Managua county. This property with city view is situated in the pacific region of Nicaragua. The land area of this strip center unit is 882.00 square meter (9,493.73 square feet), and it has an interior space of 513.00 square meter (5,521.86 square feet). This house is located in Managua, Managua, Nicaragua, in Managua county. This property with wooded view is situated in the pacific region of Nicaragua. The land area of this house is 2,910.00 square meter (31,322.85 square feet), and it has an interior space of 1,036.00 square meter (11,151.37 square feet). This house with 3 bedrooms and 2 bathrooms is located in Managua, Managua Nicaragua, in the county of Managua. This property with city view is situated in the pacific region of Nicaragua. The land area of this house is 668.00 square meter (7,190.26 square feet), and it has a living space of 244.00 square meter (2,626.38 square feet). The property also features a community pool. This house with 4 bedrooms and 4 bathrooms is located in Managua, Managua Nicaragua, in the county of Managua. This property with city view is situated in the pacific region of Nicaragua. The land area of this house is 513.00 square meter (5,521.86 square feet), and it has a living space of 336.94 square meter (3,626.78 square feet). This house has air conditioning through a wall unit. This house with 3 bedrooms and 3 bathrooms is located in Managua, Managua Nicaragua, in the county of Managua. 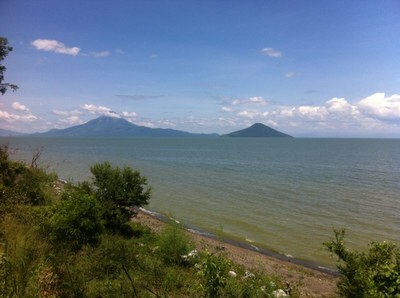 This property with lake view is situated in the pacific region of Nicaragua. The land area of this house is 333.00 square meter (3,584.37 square feet), and it has a living space of 196.00 square meter (2,109.72 square feet). This house has air conditioning through a wall unit. This house with 3 bedrooms and 2 bathrooms is located in Managua, Managua Nicaragua, in the county of Managua. This property with garden view is situated in the pacific region of Nicaragua. The land area of this house is 790.00 square meter (8,503.46 square feet), and it has a living space of 355.00 square meter (3,821.17 square feet). This house has air conditioning through a wall unit. This condominium with 3 bedrooms and 3 bathrooms is located in Managua, Managua Nicaragua, in the county of Managua. This property with garden view is situated in the pacific region of Nicaragua. The land area of this condominium is 343.00 square meter (3,692.01 square feet), and it has a living space of 159.00 square meter (1,711.45 square feet). This condominium has air conditioning through a wall unit. This house with 3 bedrooms and 2 bathrooms is located in Managua, Managua Nicaragua, in the county of Managua. This property with garden view is situated in the pacific region of Nicaragua. The land area of this house is 239.00 square meter (2,572.56 square feet), and it has a living space of 140.00 square meter (1,506.94 square feet). This house has air conditioning through multiple wall units. This house with 3 bedrooms and 2 bathrooms is located in Managua, Managua Nicaragua, in the county of Managua. This property with city and garden views is situated in the pacific region of Nicaragua. The land area of this house is 314.00 square meter (3,379.85 square feet), and it has a living space of 146.00 square meter (1,571.52 square feet). This house has air conditioning through multiple wall units. This house with 3 bedrooms and 2 bathrooms is located in Managua, Managua Nicaragua, in the county of Managua. This property with view is situated in the pacific region of Nicaragua. The land area of this house is 225.00 square meter (2,421.87 square feet), and it has a living space of 142.00 square meter (1,528.47 square feet). Мы, в MoiZagranDom™ (part of Homes4™ Global Alliance) предоставляем вам глобальный доступ к объектам недвижимости в наиболее желаемых горячих точках для выхода на пенсию, каникул или инвестиции в недвижимость на рынках Коста-Рики, Эквадора, Никарагуа, Панамы и США. Мы обслуживаем клиентов с учетом их культурных и родных языковых потребностей. Это позволяет нам осуществлять четкую связь с клиентом с самого начала.